Buck is great, but Case makes a really nice variety of classic Canoes if that's a design you like. I could go bananas if I started collecting Case knives. Some really pretty knives int heir collection. 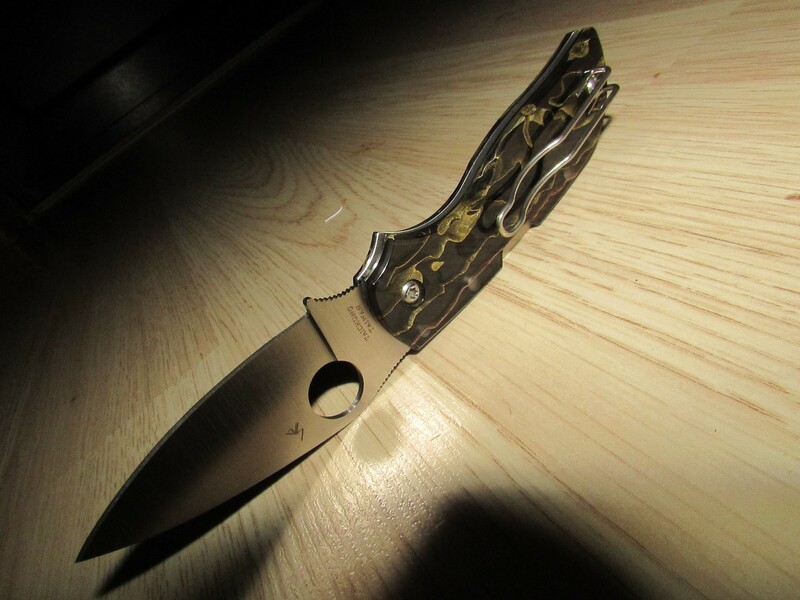 I dont carry a knife without a clip often though so they would be show pieces and I am trying to stay away from that. I want this one so bad. Just can't do it though. Hopefully I will run across a user for a little less sometime. That's a nice knife @Mad Martigan. But wow. What a price! Yeah, it went for nearly 3 bills. Which is a pretty fair price. I think I enjoyed high bid for about 15 minutes lol. It's super skinny and the frame is aluminum, so it's rather light. I use it all the time. I've started carrying a knife with my suit. I usually put the knife in the card pocket (or whatever that small, square pocket is called) of my suit jacket. So of course I don't carry clip knives with my suits, but I have found slip joints are pretty bad about falling out of suit pants. Actually, my scrub pants too. Mostly when sitting in cars. 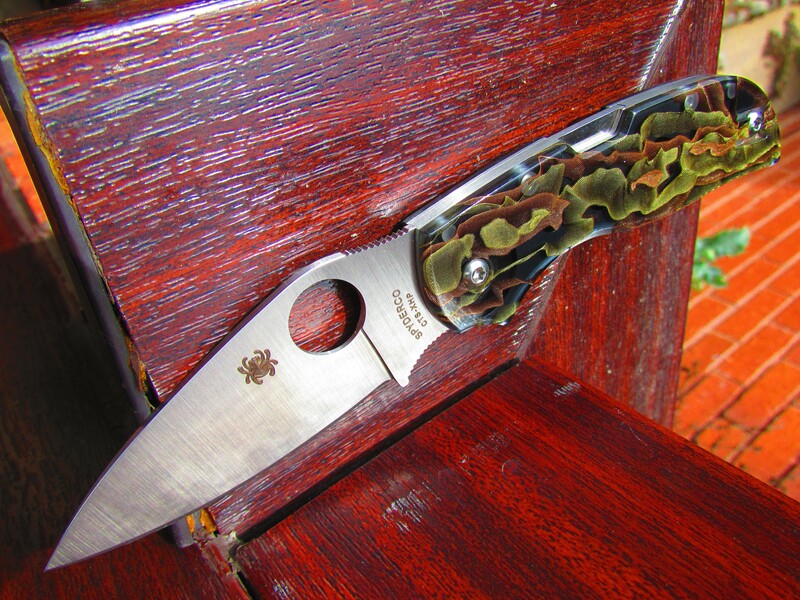 I've had a similar problem... the little Buck knife I want to carry with a suit has no clip and is too easily lost. 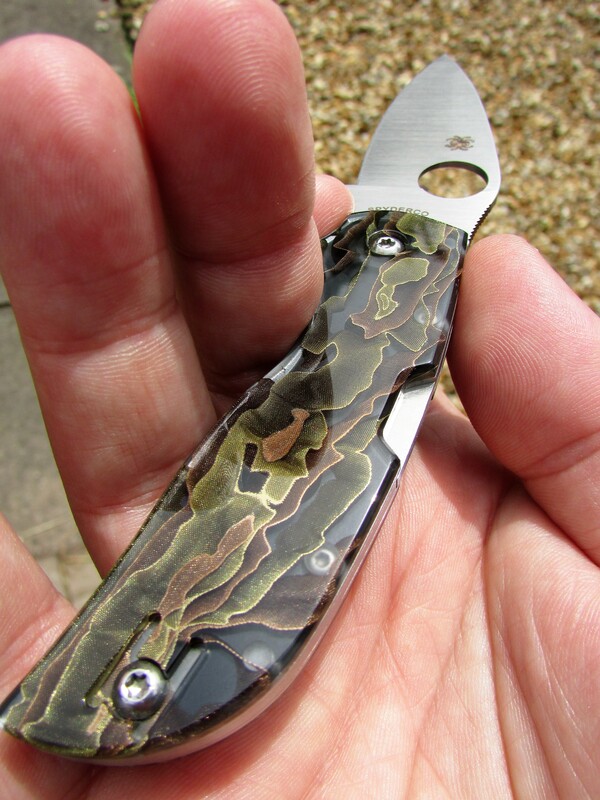 On the search for something both functional and attractive enough to carry at the office I stumbled across the Spyderco Chaparral in Raffir Noble. 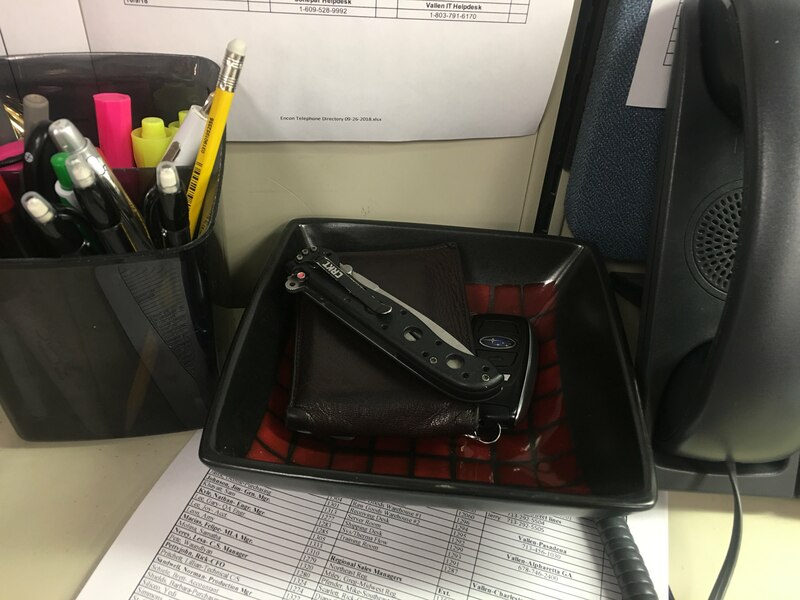 It doesn't have that classic gentleman's knife look but the Raffir scales look attractive and not too "tactical" for office use. 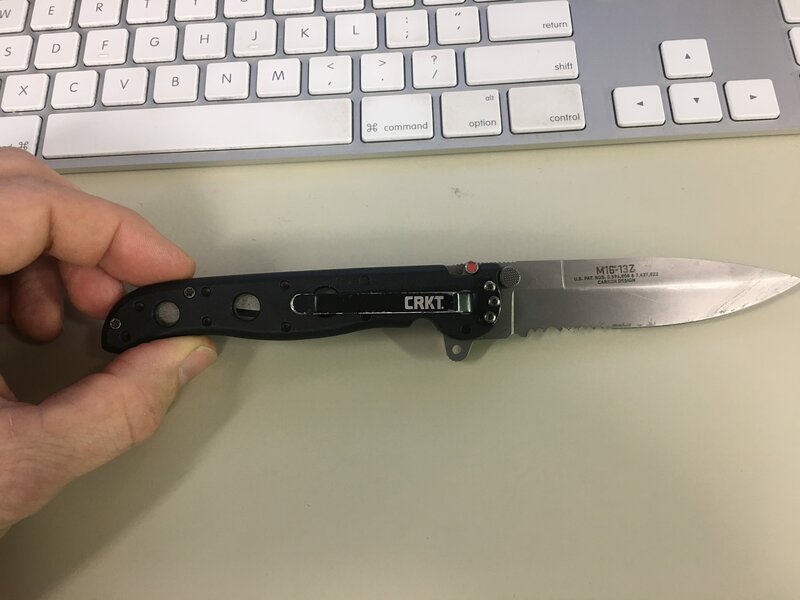 Because of the smooth scales and wire clip I have no problem clipping the knife in either suit pants pocket or inside a jacket pocket, and don't have to worry about it chewing up the fabric of my nice clothes. CRKT M-16 now for a couple of years. I wanted a 4" blade and this fit the bill nicely. Serated edge and double lock. Once you got the motion down on opening, so satisfying to open. Wear it with slacks or jeans. In a business casual office and I'm the graphic designer. Opens boxes and also cuts them down. Available here for about $40 from Amazon.